Its time to celebrate the best day of all. We don't have any problem with the others days. But Friday marks the starts of the weekend. Celebrate the last day of work with funny stickers of workers, officers and more characters. 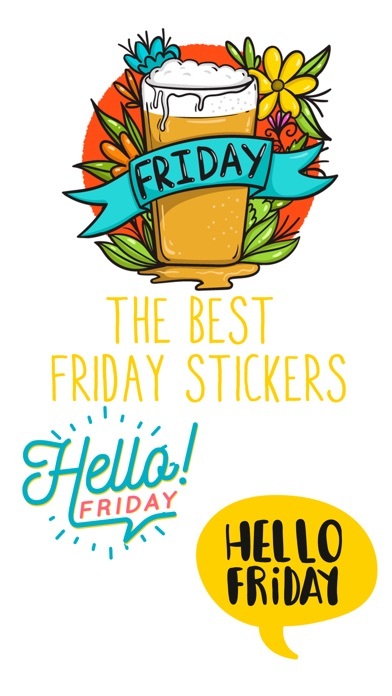 Phrases and quotes, - "Hello Friday" signs - "Finally Friday" poster - Funny stylish "Keep Calm it´s Friday" - Friday and go out with friends & partner is like bread and butter. So here you will find the coolest stickers to place on chats. - "It´s Friday smile" - Let´s the weekend begin. 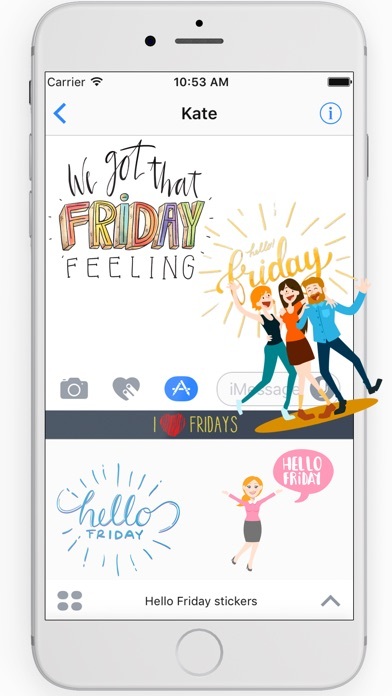 How to add "Hello Friday Stickers"? 1. Open Imessage and tap in the lower-left corner to open the app drawer. 2. 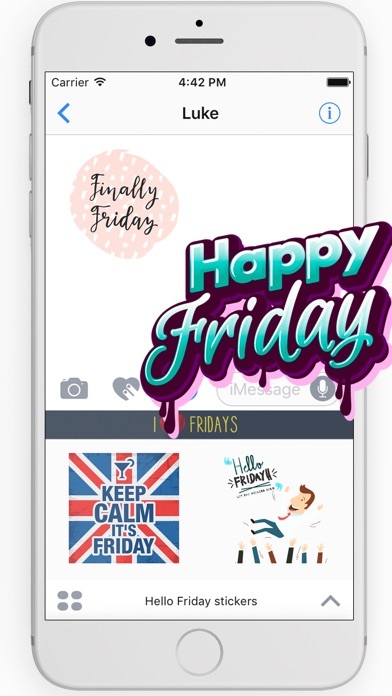 Select "Hello Friday Stickers" Tap the app to open it. If you want to add a sticker, touch and hold a sticker, then drag it to the message bubble. Note: If you don´t see our sticker pack activated, go to (+) Store and choose Manage, then put our app in ON! Please, if you like our stickers collection, please rate us in App Store. Thanks for Install and please contact us if you have any issue or comment.